Lillian Axe is a rock/glam metal band founded in the late 1980's in New Orleans. 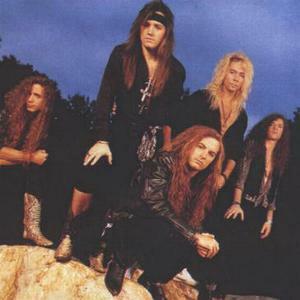 The most well-known lineup of the band was Ron Taylor (lead vocals), Steve Blaze (lead guitar), Jon Ster (rhythm guitar), Darrin Delatte (bass), and Gene Barnett (drums). Poetic Justice was their most successful album, which hit the streets in January of 1992. Fueled by the hit single, "True Believer" and followed by their cover of the Badfinger classic, "No Matter What", Poetic Justice reached the upper 100 of the Billboard album charts. Poetic Justice was their most successful album, which hit the streets in January of 1992. Fueled by the hit single, "True Believer" and followed by their cover of the Badfinger classic, "No Matter What", Poetic Justice reached the upper 100 of the Billboard album charts. The bands first album, on MCA Records, was produced by Ratts's Robbin Crosby in 1988. The band disbanded in 1995, and re-united in 1999. However, Fall 2004 brought the resignation of vocalist Ron Taylor and the introduction of new vocalist Derrick LeFevre. In May 2006 Darrin DeLatte decided to leave and commit himself full-time to his band Lowside. Replacing him was bassist Eric Morris. The Axe is working on the upcoming release, "Waters Rising".